Anonymity on the Internet has become something really craved by users due to the persecution they are suffering from advertising companies, cyber criminals, and governments, that want to stop the illegal exchanges of files by spying on the users' connections and data transfers. 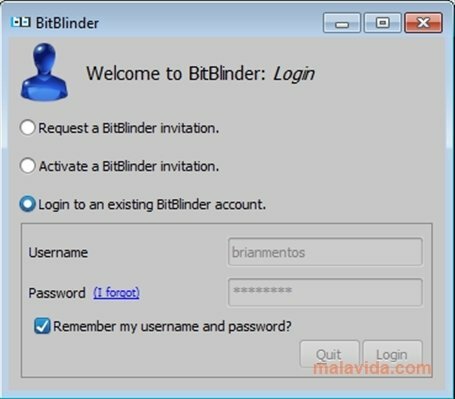 Due to this threat to our privacy, an application has been developed, it's called BitBlinder, and it's capable of maintaining the anonymity of our IP, our transfers using the BitTorrent network and our connections using instant messengers. 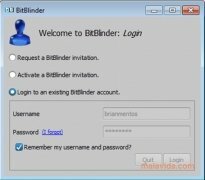 BitBlinder is mainly a BitTorrent client that by means of an extreme peer system (you only know the IP of the following user that will send the file) allows file downloading in total anonymity. Don't let anyone spy on your connection. We'll also be able to use the anonymity system included in this BitTorrent client to chat and stay in contact using our instant messaging application without showing our IP while this system is connected.